Organisations today function in complex and dynamic environments which exert continual pressure to change and compete. Employees are often seen as a key to success in this world, as flexible and adaptable resources. The quality of their work life therefore takes on an important role in ensuring they reach their full potential. 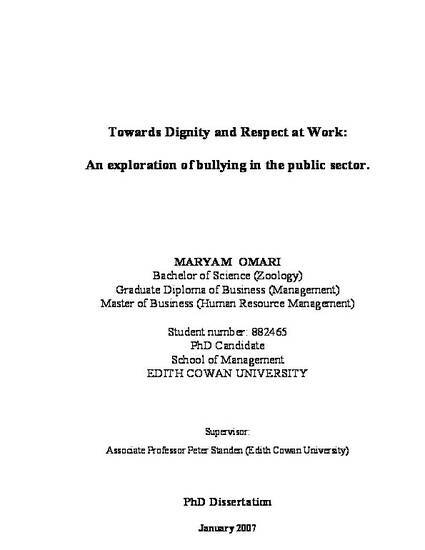 A long-standing safety and performance issue in the workplace is bullying, or mobbing as it is called in the European literature. Bullying can have adverse effects for individuals, including both the perpetrator and the victim, as well as their families, the organisation, and ultimately the wider society.